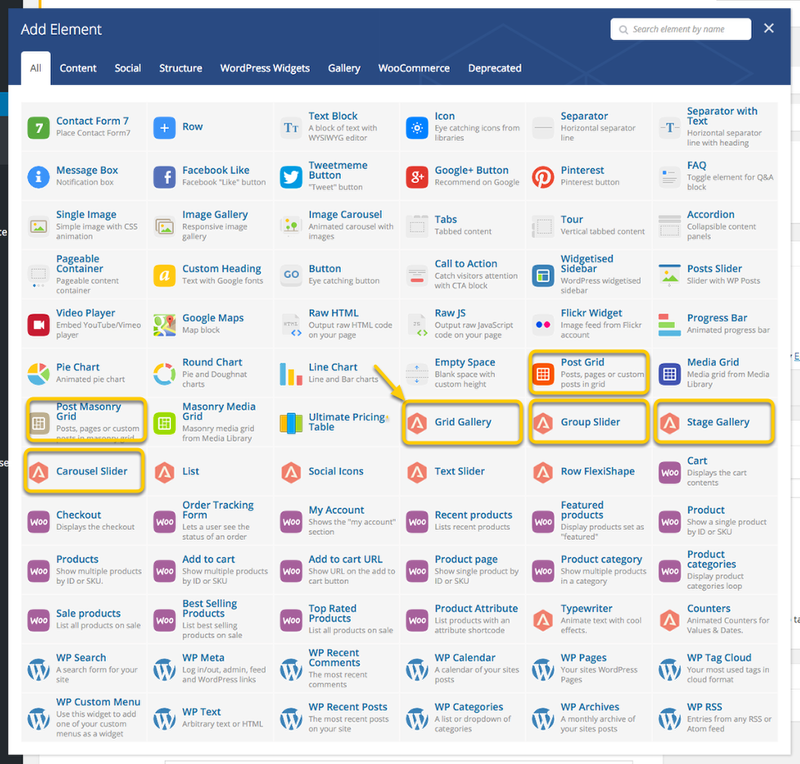 Ensure the Portfolio Plugin is installed – to install the Portfolio plugin, goto WordPress Admin > Appearance > Install Plugins > Locate Portfolio Post Type > Click Install. Let’s create our Portfolio Posts. Goto WordPress Admin > Portfolio > Add New Item > Once the page has loaded Enter a Post title. Next, we need to add content to our Portfolio Post. We’ll use the Visual Composer to do this. 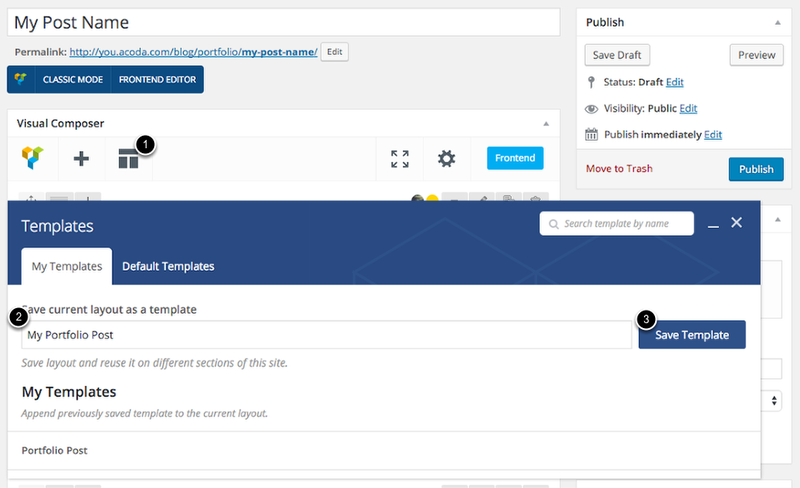 Once we’re happy with our Portfolio Post content, we can assign the Post to a Category. This is essential if you wan to use Animated Filtering to filter your Portfolio posts by Category. If you would like to use the same format for all your other Portfolio Posts, you can save the Portfolio Post you’ve just created as a Template. 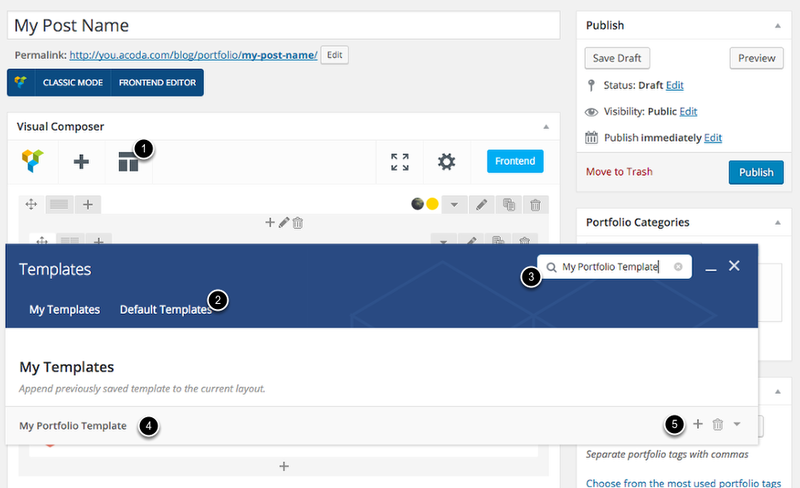 This will save you time and keep your Portfolio Posts consistent. Once you have created all of the Portfolio Posts, it’s time to create the Page which displays them all. Follow these steps to create a Portfolio Page and add an element to the page. 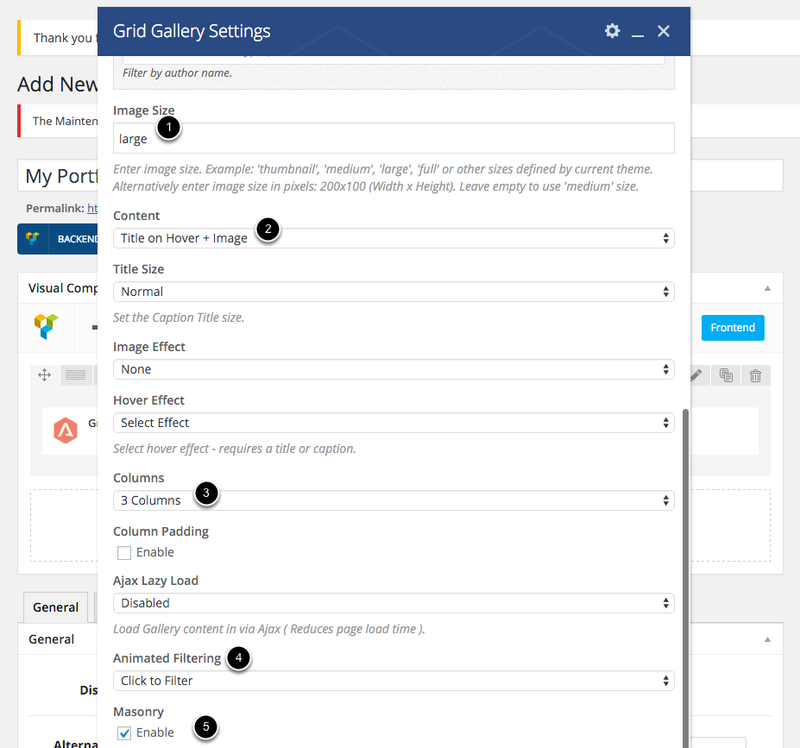 We’re going to use the Visual Composer again to create a Gallery or Slider to display our Portfolio Posts. 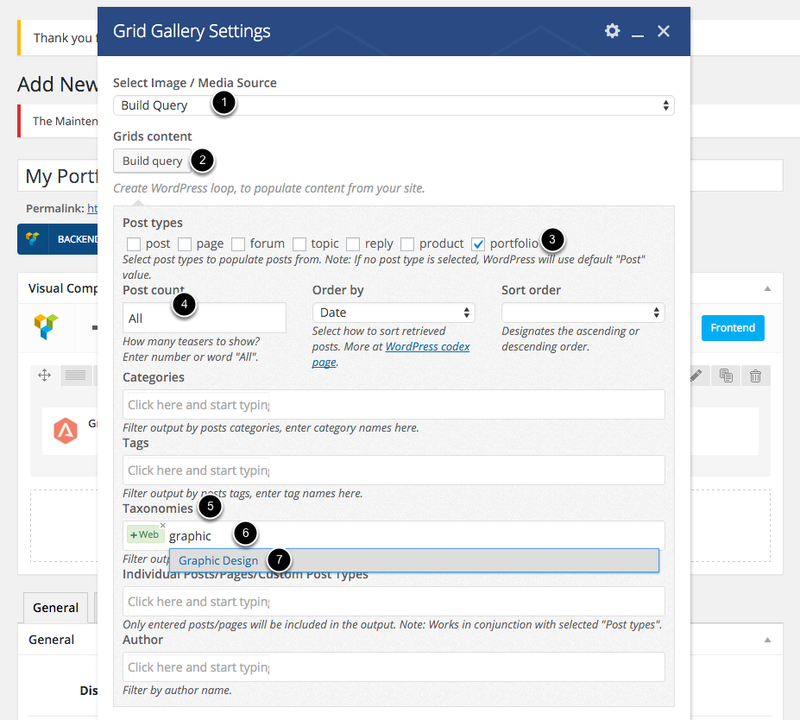 Follow these steps to add a Gallery to the Page. Animated Filtering – Click to Filter – this displays our Categories at the top of the page which we can click on to filter. 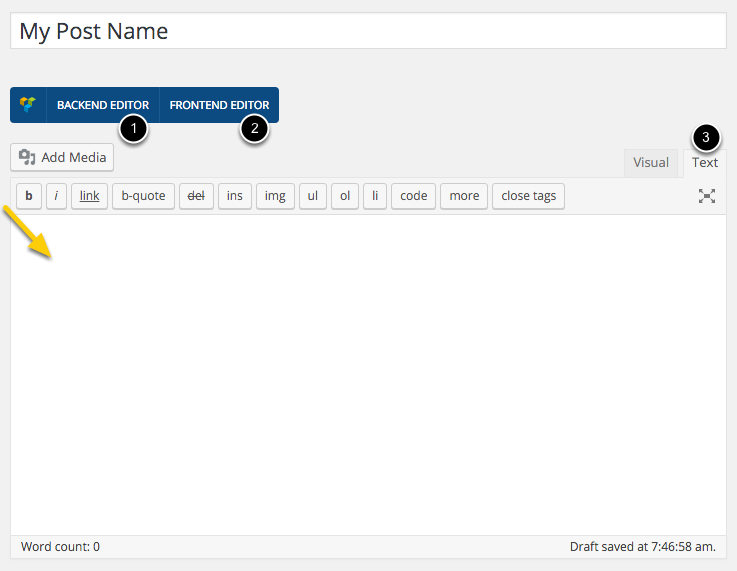 If you’re using the Frontend Editor, you can experiment with the settings to see what works best for you. Once you’re happy with the settings, click Save Settings and click Publish on the page. 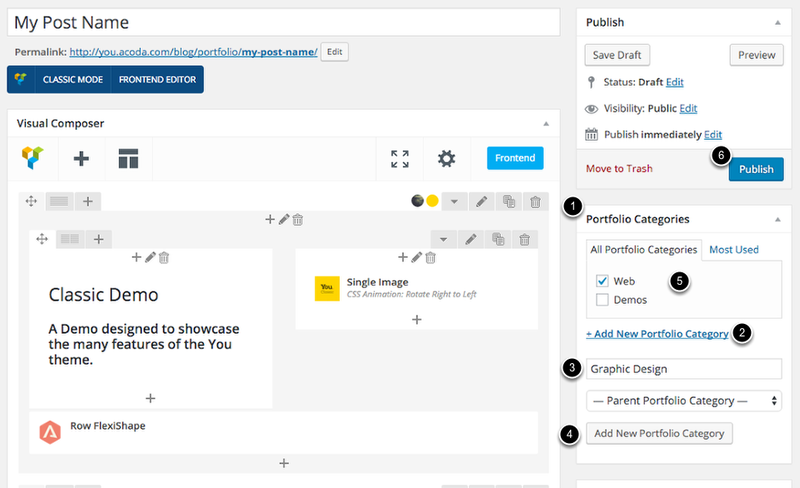 Once you’re happy with your portfolio page, you can assign it as a Portfolio Parent Page. This means when the icon above is clicked or Portfolio is clicked in the Breadcrumbs, it will take the user back to the Portfolio Page you’ve created. 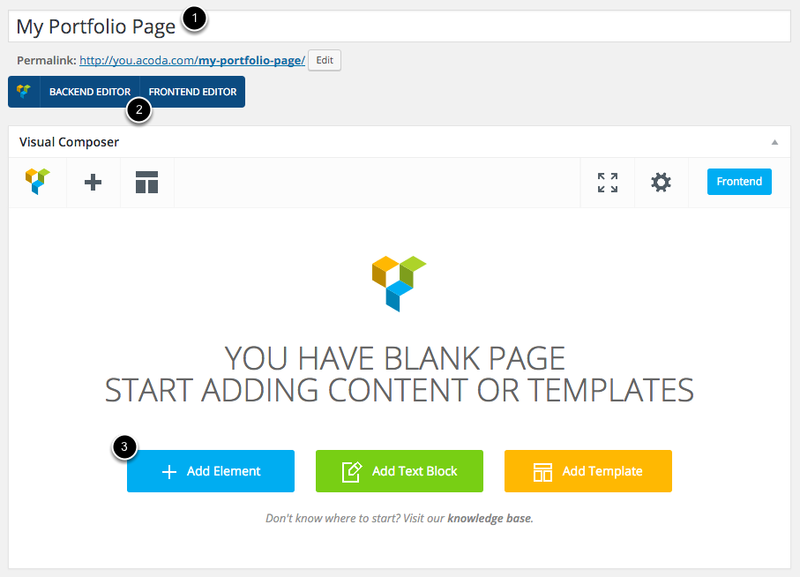 Assign the page via WordPress Admin > Appearance > Customize > Portfolio > Portfolio Parent Page.